You won't find it on the Ordnance Survey map, not if your map's of a certain age, because during the Cold War it didn't officially exist. But RAF Neatishead used to be the Control and Reporting Centre for air defences across the south of the UK, which means nuclear bombers would have been tracked and directed from this unassuming spot beside the Norfolk Broads. And before that it was a pioneering hub in early radar experiments, helping us to win World War II by anticipating when the Luftwaffe's aerial attacks would come. And now it's a museum - a highly intriguing one - which tells a dozen stories with a local connection. They've been open twenty years, on and off, but saw their greatest ever number of visitors this Bank Holiday Monday, one of whom was me. The building doesn't look so big when you arrive, but that's deceptive because (unsuprisingly) the biggest room's underground. You'll get there on the guided tour, which kicks off every half hour or so from the briefing room opposite the cafe. Everything's run by volunteers, most of whom used to be servicemen hereabouts so are experts and brimming with appropriate anecdotes. They'll lead you off down to the first room, which is set out circa 1940 when radar was in its infancy, and explains how enemy attacks during the Battle of Britain were repulsed. By 1942, in the second room, technology had moved on somewhat, with a spinning dish up top and the familiar trace/blip on an electronic screen. 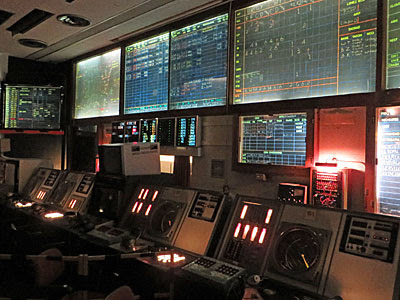 You can find out far more about the dawn of radar in some of the adjacent rooms once the tour's over, including how it spread to planes, the golfballs at Fylingdales, and even the back end of the Falkland Islands. But it's the third room on the tour that sends shivers, the bunker from which the last four minutes of life in Britain could have been conducted. Neatishead's role was to scramble all the RAF's planes into the pre-nuclear sky in the hope that they'd have somewhere safe to land sometime afterwards. We came close, apparently, and the base continued to monitor Russian planes' sorties down the North Sea in case this was ever 'the one'. 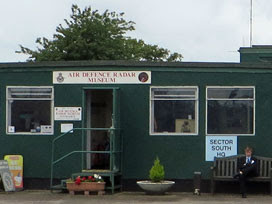 Staff here stood down in 2006 and passed control to a single tracking station in Northumberland, leaving the obsolete electronics and command positions to a mere sightseeing role. You may not be reassured to hear that the large glass information screens on the main wall were filled in by staff writing backwards from behind with chinagraph pencils - on such low technology rested the fate of our nation. Once left to explore on your own, there are umpteen rooms of military malarkey to explore. Many of these are related to Neatishead, but others relate to the much larger RAF Coltishall. This closed down eight years ago after several decades of service, and all the ephemera stored in the air base's museum and archive had to go somewhere. From Spitfires to Vulcans and Lightnings to Harriers, the volunteers can tell you much more, including the lowdown on how difficult some were to maintain. But there are none outside at Neatishead today, not least because much of the exterior of the site is still run by the RAF as a Remote Radar Head and therefore remains Top Secret. Sssh, don't tell everybody.